Give the special treat of a gift basket with tasty edibles, florals & plants or custom designs to mark special life events. 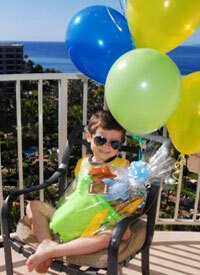 Welcome a friend's new baby, send a wedding or honeymoon basket, or welcome off-island guests with aloha treats. Every basket is custom designed for your needs. 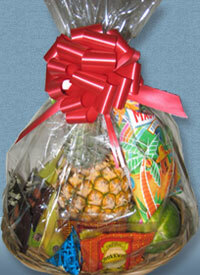 Choose from Fruit & Snack Baskets or Specialty Baskets below.